Build and deploy Azure solutions quickly and confidently with personalized help from Azure engineers. Direct assistance from Azure engineers. Access to tools and real customer experiences. Collaboration with your in-house resources and partners. Help defining your business vision and goals and assessing your architectural needs. Best practices, design principles, and tools to help you build, test, and deploy Azure solutions. Lift & Shift, Business Continuity & Disaster Recovery, Application Modernization, etc. Periodic check-ins to ensure that your deployment is on track and to help remove blockers. Matching you with skilled partners for deployment services on request. FastTrack for Azure is available in English in the United States, Canada, Australia, New Zealand, the United Kingdom, and Western Europe. Have an identified, FastTrack-supported Azure project expected to incrementally consume at least USD5,000 per month (or equivalent in local currency) within 12 months. Be located in the United States, Canada, Australia, New Zealand, the United Kingdom, or Western Europe. Have an active paid Azure subscription. Intend to deploy the Azure project in the near term. What is FastTrack for Azure? FastTrack for Azure is a Microsoft program that provides direct assistance from Azure engineers, working hand in hand with partners, to help eligible customers build Azure solutions quickly and confidently. FastTrack offers best practices and tools to design, configure, develop, and deploy Azure solutions. 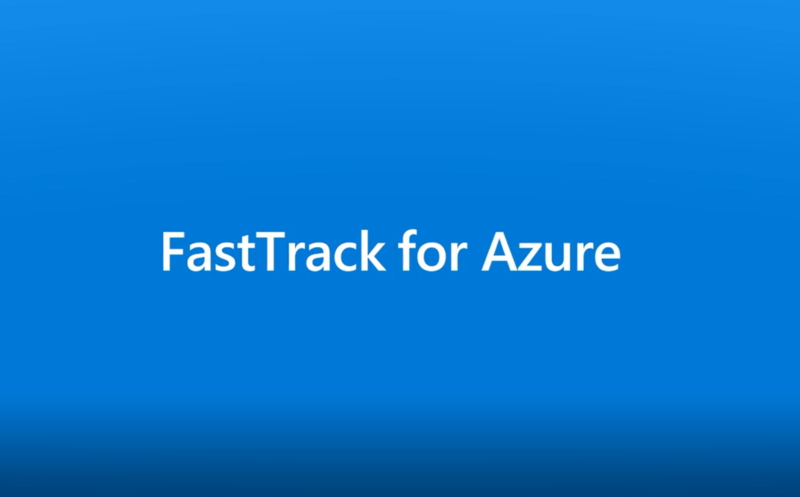 FastTrack resources are available to help qualified Azure customers in the United States, Canada, Australia, New Zealand, the United Kingdom, and Western Europe. Within Western Europe, the program is available (in English only) in Austria, Belgium, Denmark, Finland, Ireland, Italy, Luxembourg, Netherlands, Nordics, Norway, Portugal, Spain, Sweden, and Switzerland. Is there a cost for FastTrack services? No. FastTrack for Azure is an investment from Microsoft to help customers develop and deploy Azure services and solutions. How do I qualify for FastTrack? Be located in one of the countries/regions where FastTrack is available. Note: An identified, FastTrack-supported project is a defined workload with intent to deploy in the near term. If you have a Microsoft Cloud Solution Architect, additional approval is required. Contact your account team for details. Ask your account team or your Azure deployment partner to nominate you, or chat with one of our agents on the FastTrack for Azure site. Are Azure Government customers eligible? Yes. FastTrack for Azure is available to eligible customers in both the Azure commercial cloud and the Azure Government cloud. What is the engagement process? Discovery. Identify key stakeholders, understand the problem you’re solving for, and assess the architectural needs. Solution enablement. Conduct the architectural design review, share best practices and design principles for building applications, provide core services as needed, offer configuration guidance, and enable solution proof-of-concept and development/test environments. Deployment. Support your in-house resources and/or your partner during the deployment of Azure solutions into production. Partnership. Provide periodic check-ins to ensure that deployment is on track and to assist with any onboarding, additional workloads, or other deployments. The length of engagement varies depending on your needs. Which Azure solutions does FastTrack support? Eligible customers may engage FastTrack resources for one or more of the supported Azure solutions. At what stage does FastTrack get involved? Fast Track is designed to help you build and deploy Azure solutions; it’s not intended to help envision a project. You should engage the program only after you have a specific Azure project in mind that meets the criteria. What is an Azure project? An Azure project is one or more Azure solutions—a group of Azure services, third-party applications, and related products that help meet the most common business needs and scenarios. What don’t FastTrack resources do? Take control during engagement sessions. Provide guidance on Microsoft 365. How does the FastTrack for Azure team work with partners, Microsoft Enterprise Services, or Microsoft Premier Support? If you're working with a third-party partner, Microsoft Enterprise Services, or Microsoft Premier Support, the FastTrack team will work with you and the other party to ensure that you both have the resources you need to successfully deploy Azure solutions. If you aren't working with a partner but would like to, the FastTrack team will connect you with one. What's the difference between FastTrack for Azure and Activate services (previously Fast Start)? FastTrack provides resources, tools, and access to experts (Azure engineers and partners) to help deploy Azure solutions into production—specifically, Azure projects estimated to incrementally consume at least USD5,000 (or equivalent in local currency) within 12 months. Activate is a four-day on-site engagement with a Microsoft engineer aimed at deploying an initial, low-friction Azure workload through proof-of-concept activities. Those eligible for FastTrack are typically beyond an Activate engagement; your account team can help you determine which program is best for you. Where can I find the latest information on Azure? Subscribe to Azure notifications to stay informed on product updates and announcements.